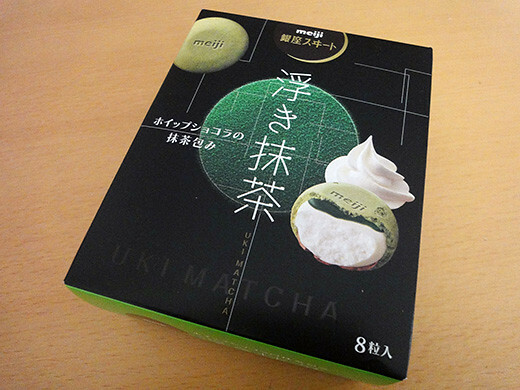 I got a box of matcha snack that just came out from Meiji company. 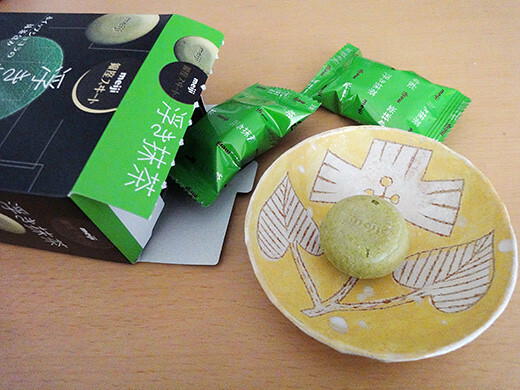 It looks like a small macaroon, but it is not. 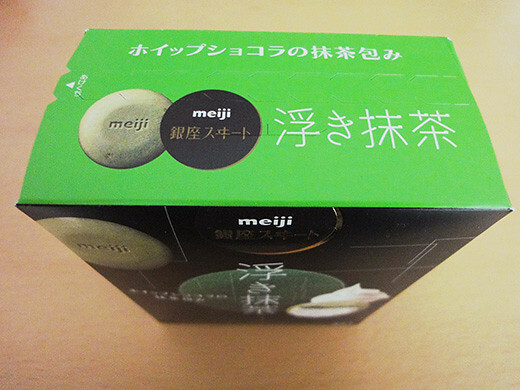 We are able to enjoy the Japanese style crispy wafers with Matcha taste. 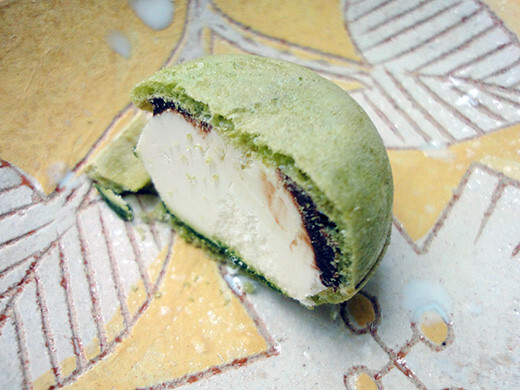 Also, the crispy wafers are filled with whipped chocolate cream and fragrant matcha. I love the small size because it is very easy to have at one bite.